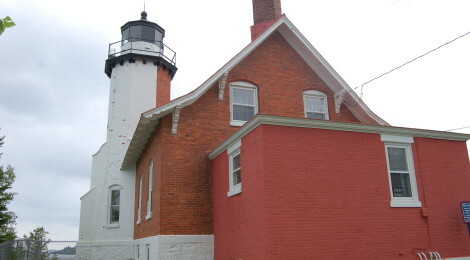 The light station at Au Sable Point is within the boundaries of the Pictured Rocks National Lakeshore and is reached by a 1.5 mile hike from the Hurricane River parking area. Built in the 1870s, the light here warns vessels of a dangerous and rocky shoreline. Many exposed shipwreck remains can be seen along the beach on the trip to or from the point. The NPS offers tours during the summer (Jun 7 – Sep 20), Wed-Sun from 11 a.m. to 4:30 p.m.
Ontonagon was once an important Lake Superior port for the timber industry, and while the city isn’t as bustling as it once was the lighthouse built here in the 1950s still stands as a monument to the past. 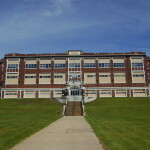 Its tower is 45 feet high and the building is constructed of a cream-colored brick. The Ontonagon County Historical Society runs tours in the summer (May-Sep) six days a week at regularly scheduled times or by appointment. 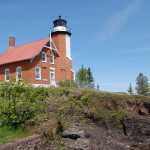 More details here – the OHS is located at 422 River St.
Take one look at the rocky entrance to Eagle Harbor, and it should be obvious why a lighthouse was needed here. 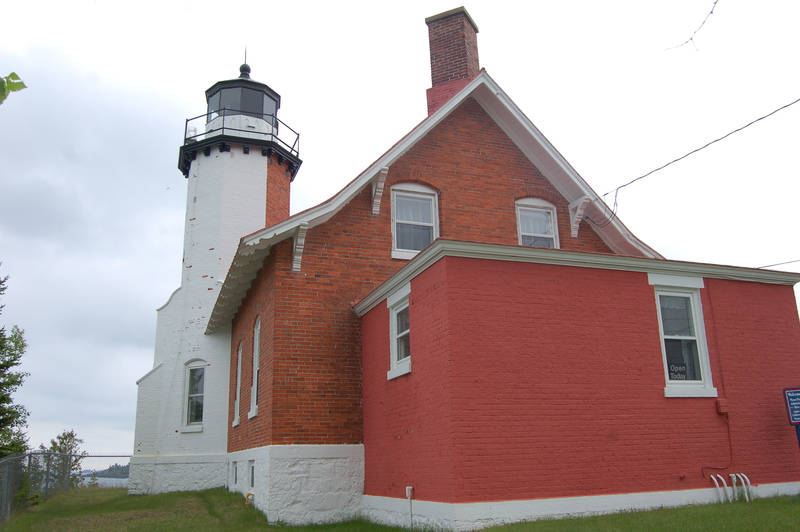 Built in 1851 and replaced in 1871, this is one of Michigan’s more scenic lights due to the combination of red and white brick used in its construction. The red light still shines from the 44-foot-tall tower, so access to the tower is restricted but the rest of the grounds and buildings are open to the public. Visit the Keweenaw Historical Society page for more details and price information. 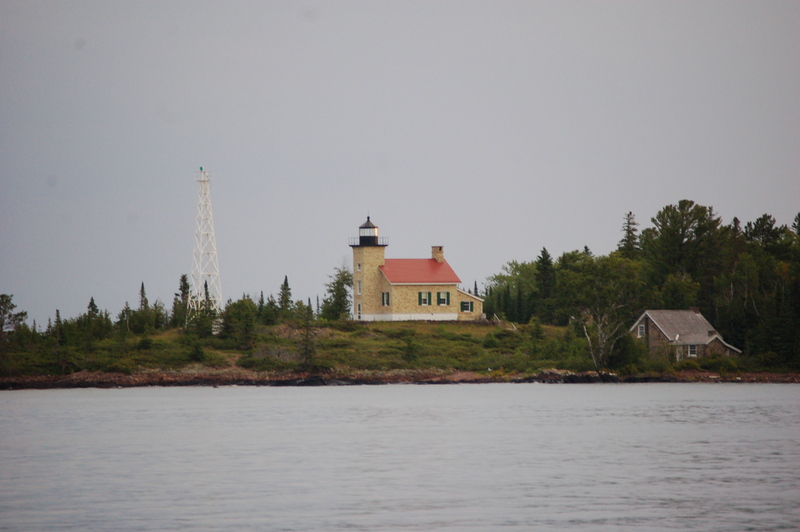 When copper mining took off in the Upper Peninsula, a lighthouse at Copper Harbor became necessary to help guide mariners safely into port. 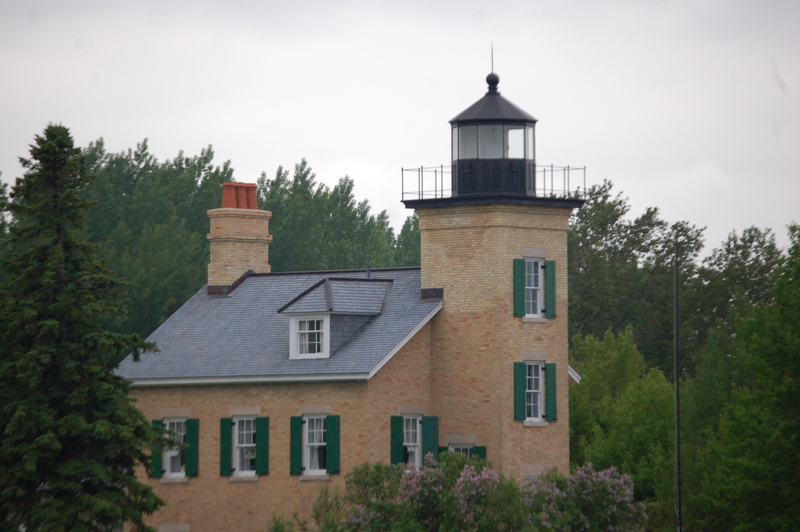 This 62-foot-tall lighthouse was built in 1866 and constructed of a yellow brick with a red roof and black-capped lantern room. Now part of Ft. Wilkins State Park, the lighthouse can be seen from the shore here but is best visited by taking a boat trip out to the tip of the peninsula on a guided tour. Trips depart from the Municipal Marina from May-Oct, more details here. 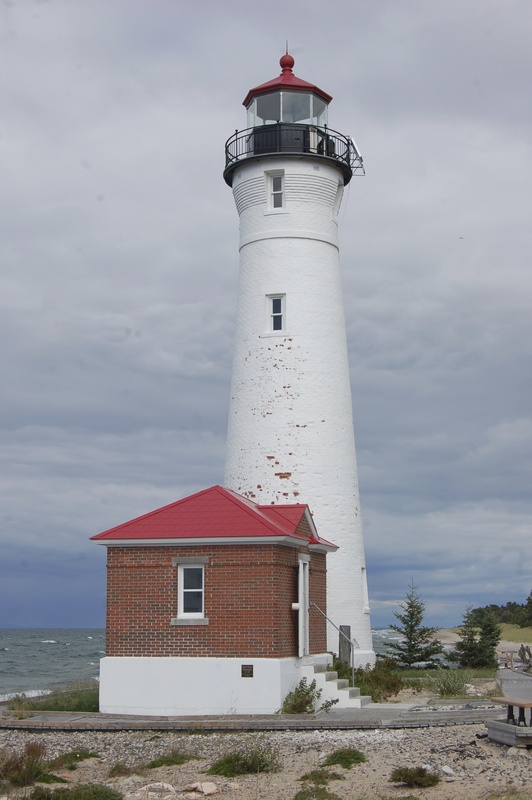 The bright red exterior of the Marquette Harbor lighthouse has made it a local icon, and in recent years the Marquette Maritime Museum has started to offer tours. 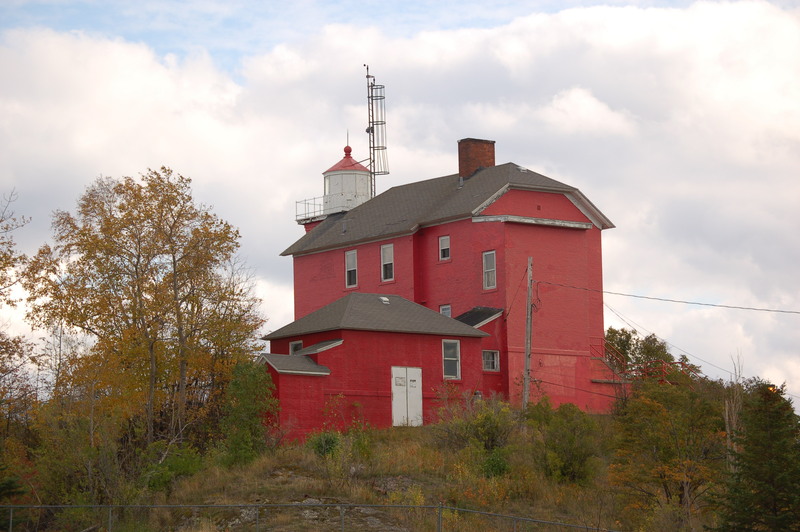 As one of the most important iron ore ports on Lake Superior, this light has been vital in guiding ships past the rocky shore and to the ore dock that used to operate in town as well as the docks out at Presque Isle point. This light is on an active coast guard base and while it can be seen from the nearby shore or from the water, the Maritime Museum’s tour is the only way to get up close and to tour the keeper’s quarters. Tours are offered during the summer, more information here. 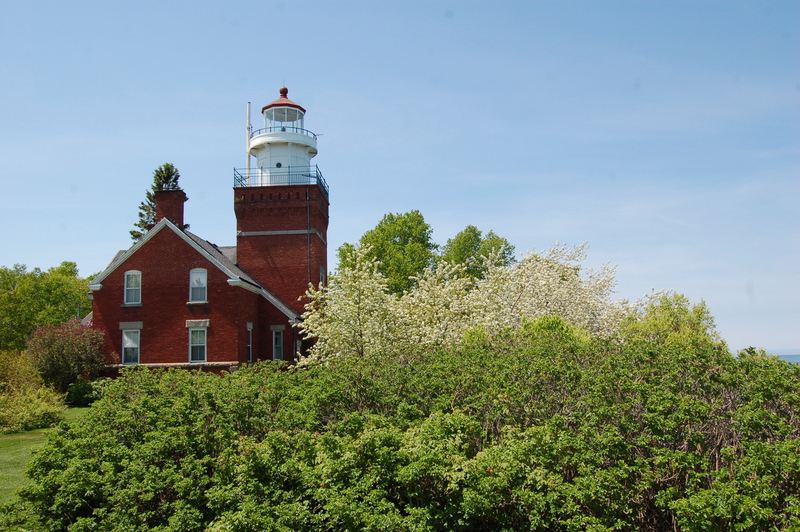 As the only beacon in Michigan between Whitefish Point and the Soo Locks, the Point Iroquois Lighthouse was vital to vessels for many years as they made their way to the St. Mary’s River. The tower stands 65 feet tall, and both it and the attached dwelling are open and staffed by the National Forest Service. 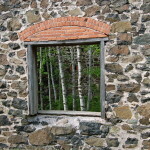 Great views of the surrounding forest and the Canadian shoreline can be had from the tower. Directions and hours of operation are available here. 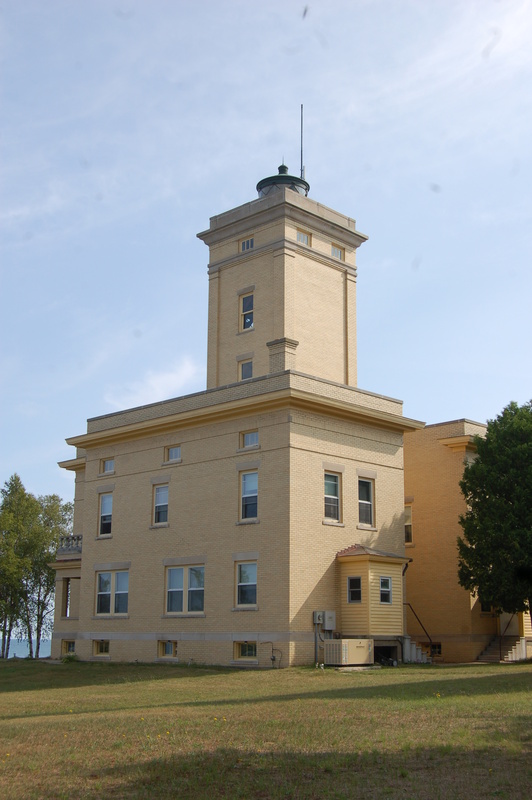 Featuring some of the most unique architecture among Great Lakes lighthouses, the Sand Hills Lighthouse is one not to miss. The 91-foot-tall tower rises out from the square yellow dwelling that looks more like an apartment building than a navigation aid. 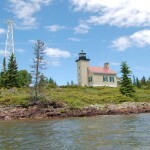 Built in 1917, this lighthouse guards the rocky shore of the Keweenaw Peninsula just 5 miles from the town of Ahmeek. Now operated as a bed and breakfast, you can stay in this historic building, or stop by to photograph it and catch the once-a-day public tour (3:04 p.m., $5). More information here. 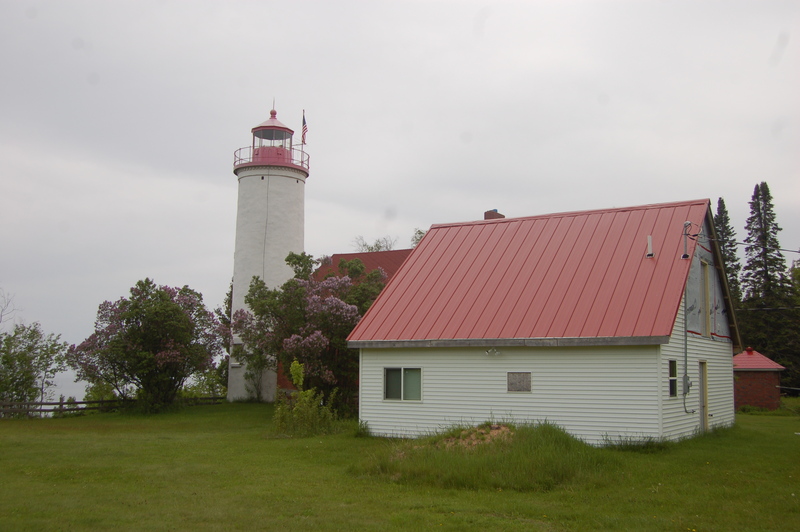 Standing guard over the eastern entrance to the Portage Canal, the Jacobsville Lighthouse features a 51-foot-tall white tower with a red-capped lantern room. Now operating as a private bed and breakfast, it is possible to stay here on a vacation or stop by and take a tour and climb the tower for a small fee. More details here on the B&B home page. 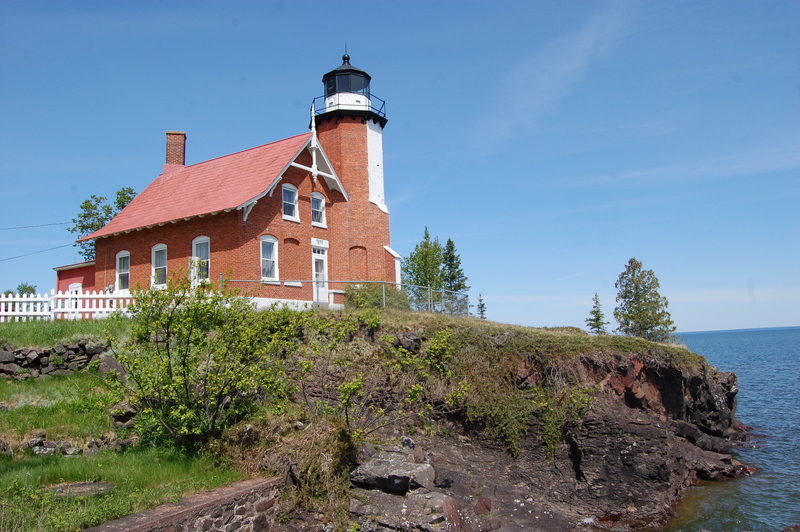 The red brick building and white lantern room of the Big Bay Point Lighthouse stands tall on a bluff along the rocky Lake Superior shore north of Marquette. This is yet another light that has been restored as a bed and breakfast so visitors can experience a few nights in this historic building and climb its tower. The grounds are open to visitors during the day (with reminders to be respectful of guests), more information can be found here. 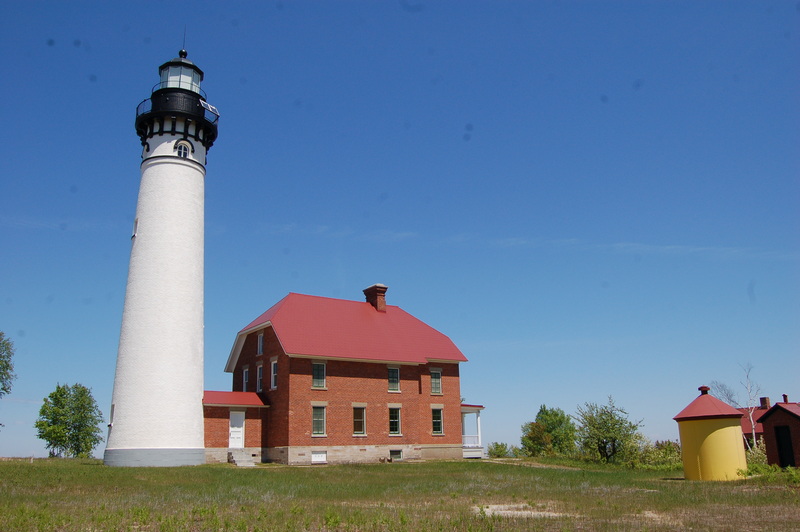 One of the hardest to reach lighthouses on land in the entire state, a visit to Crisp Point won’t soon be forgotten. 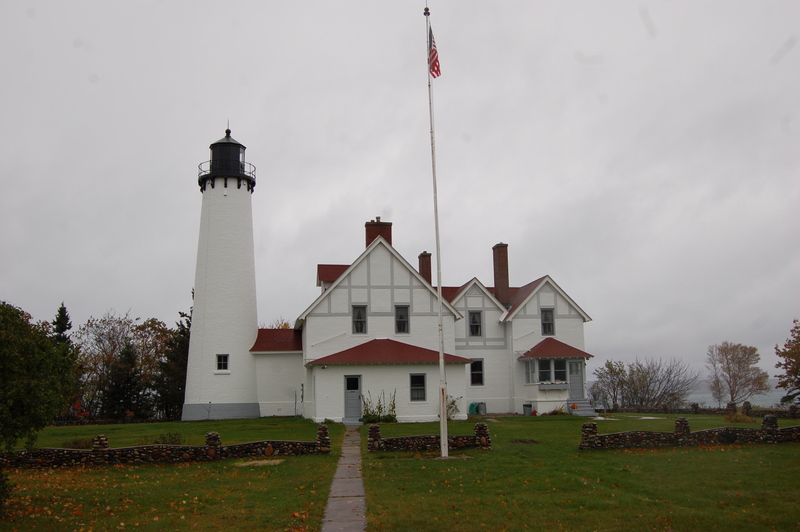 Reached by traveling 18 miles on back roads, this light was in danger of falling victim to Lake Superior before the amazing efforts of the Crisp Point Light Historical Society saved it. Volunteer keepers now maintain the ground and keep the reconstructed service building open while also providing access to the tower – the views from the top are breathtaking! For detailed directions (these are vital!) and more information on when the light will be open, visit the CPLHS website here.